The crack of the bat and the ball flies to third base, but when he or she reaches for the catch, the ball jams the outstretched middle finger and the ball is not caught. Instead, the player just caught baseball or mallet finger. Baseball or mallet finger is an injury to the thin tendon that straightens the end joint of a finger or thumb. 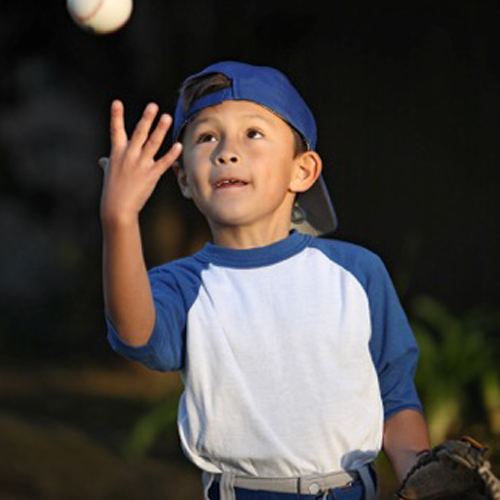 Although it is also known as “baseball finger,” the injury can happen to anyone when an unyielding object like a ball strikes the tip of a finger or thumb and forces it to bend further than it is intended to bend. As a result, the tip of the finger will not straighten. Tendons are tissues that connect muscles to bone. The muscles that move the fingers and thumb are in the forearm. Long tendons extend from these muscles through the wrist and attach to the small bones of the fingers and thumb. The extensor tendons on the top of the hand straighten the fingers. The flexor tendons on the palm side of the hand bend the fingers. In a mallet injury, when an object hits the tip of the finger or thumb, the force of the blow tears the extensor tendon. The injury may rupture the tendon or pull the tendon away from where it attaches to the finger bone, distal phalanx. In some cases, a small piece of bone is pulled away along with the tendon. The long, ring, and small fingers of the dominant hand are most likely to be injured. The finger is usually painful, swollen, and bruised. The fingertip droops and straightens only if pushed up with the other hand. To relieve pain and reduce swelling, apply ice to the finger immediately and keep the injured hand elevated above the heart. A mallet finger injury requires medical treatment to ensure the finger regains as much function as possible. It is important to seek immediate attention if there is blood beneath the nail or if the nail is detached. This may be a sign of a cut in the nail bed or that the finger bone is broken. After discussing medical history and symptoms, the orthopedist at DOC will examine the injured finger or thumb, asking the patient guest to straighten the finger, the mallet finger test. An x-ray shows whether the injury pulled the bones of the joint out of alignment. Most mallet finger injuries are treated with splinting. A splint holds the fingertip straight (in extension) until it heals, approximately 8 weeks. Splinting treatment usually results in acceptable function and appearance. Occasionally surgery is required to repair a fracture using pins to hold the pieces of bone together while the injury heals. DOC’s orthopedic surgeon should be consulted to make the decision to treat this condition surgically. When healed and back in the game, catch a fly ball with a glove.